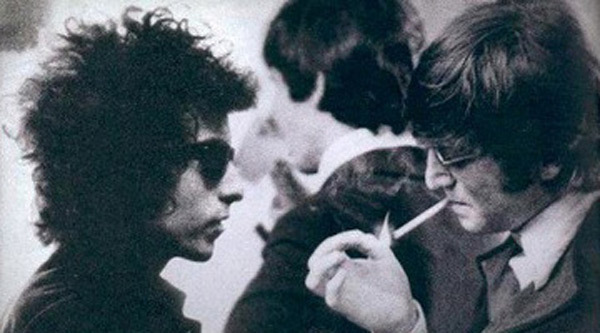 Lots of people love this really cool photo that has been making the rounds on the internet of Bob Dylan and John Lennon backstage smoking. The only problem is that it is a photoshop fake!!! 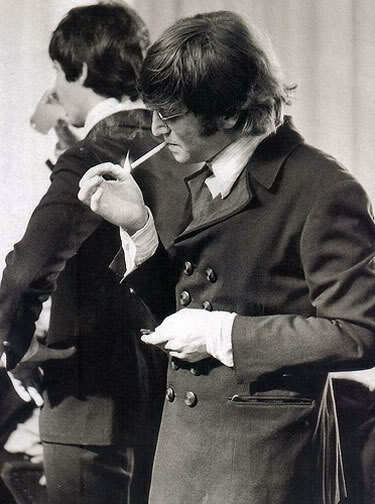 Here is the actual picture of Lennon lighting up backstage with Paul McCartney behind him before a Beatles concert. As you can see, no Bob!!! 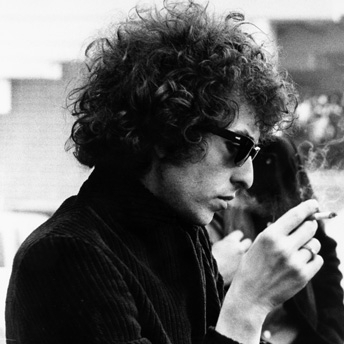 I can’t find the exact Dylan photo used for the fake but it is from this photo session. Don’t believe the hype if it’s too good to be true. For your enjoyment, here is a cool “real” photo of Dylan and Lennon in the back of a car.